More rainy day activities, this one inspired by the Architecture 101: Gothic Cathedrals class over at Dark Side University. 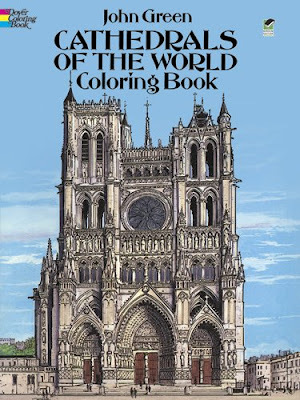 Cathedrals of the World coloring book features St. Paul's Cathedral in London, Chartres in France, Notre Dame in Paris, Cologne Cathedral in Germany, St. Peter's in Rome, St. Basil's in Moscow, St. Patrick's in NYC, and many more. 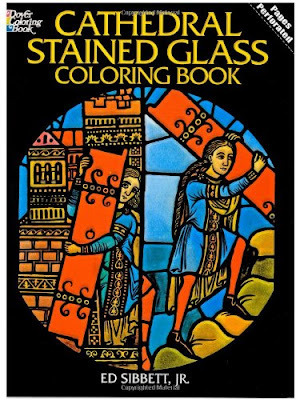 The Cathedral Stained Glass coloring book offers 16 full page plates on translucent paper. That way you can get some guidance while coloring them in. The finished product can be put in front of a light source to illuminate it! 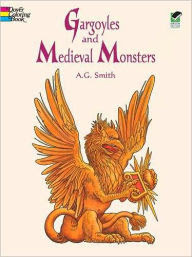 The Gargoyles and Medieval Monsters coloring book features detailed black-and-white illustrations of 45 mythical animals, including dragons, winged dogs, demons, lions, griffins, a bull, unicorn, eagle, and various other grotesques.